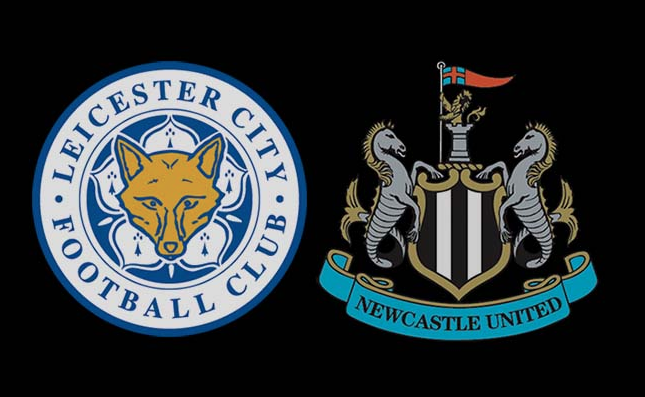 Leicester (A): Pre-match thoughts, team news & predicted line ups – NUFC blog – Newcastle United blog – NUFC Fixtures, News and Forum. Forget Rafa’s contract for a second, we’re a few bad results away from being sucked back into a relegation battle. We actually controlled the game for the most part in last weekend’s 1-0 defeat at home to Crystal Palace, but, in reality, you’re never in control of a game if you fail to take your chances, with our inability to convert at one end always leaving us open to a Palace counter at the other end. 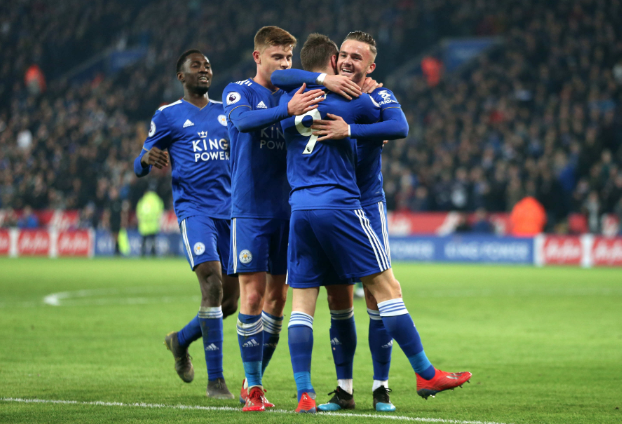 Leicester are a good side who are in strong form – winning their last 4 and 5 of their last 6 – with them currently 7th and vying for a big finish to secure Europa League football next season. It’ll be a tough game against a side full of attacking intent and quality, with us having to sharpen up at both ends if we’re to come away anything here. The above line-up seems the most likely to me, buT I wouldn’t be surprised to see Rafa go back to a 4-man defence, with Dummett slotting in at left-back and Schar partnering Lascelles following Lejeune’s season-ending injury. Fernandez also has every chance of coming back in, having done very little wrong this season and waiting patiently for his chance. I’d like to see Shelvey start, but he arguably changed the game for the worse against Palace, so it may well be two of Ki, Hayden and Diame in the middle for this one. Jamie Vardy – A bit of an obvious one, but he’s hard to ignore on current form. He has 8 goals in his last 8 league games and 3 in his last 2 games, with him bagging a brace and an assist in their 4-1 win at Huddersfield last time out. The major one to watch; especially with Lejeune out. James Maddison – A brilliant technician who has lethal from set pieces; with him having David Beckham-esque delivery from corners and free kicks. He could be the key man to stop when it comes to the supply into Jamie Vardy. Ben Chilwell – The left-back bombs forward and has real pace and drive about him. He impressed me in our meeting at St James’ Park earlier in the season and will fancy his chances; whether he’s up against Yedlin or Manquillo. Youri Tielemans – The Belgian international arrived at Leicester in January and has had an immediate impact, weighing in with an impressive 4 assists and 2 goals from central midfield in his last 6 games. Predicted Leicester XI – (4-1-4-1) – Schmeichel – Pereira, Morgan, Maguire, Chilwell – Ndidi – Gray, Maddison, Tielemans, Barnes – Vardy. 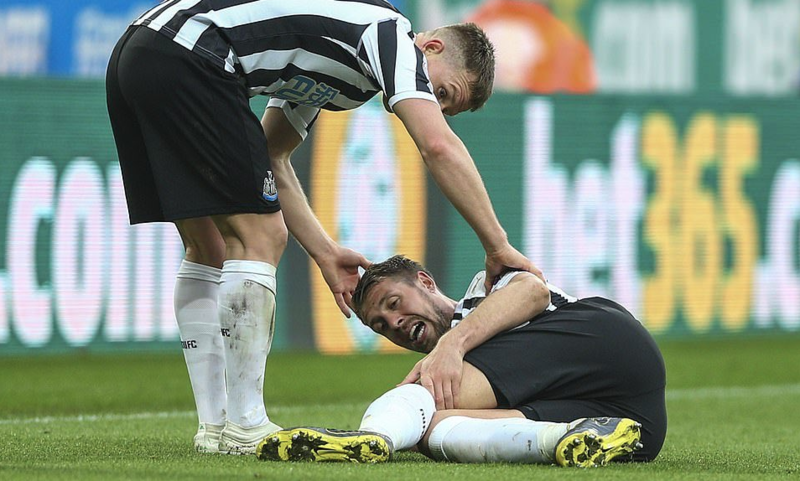 Florian Lejeune has been ruled out for the season after picking up another devastating cruciate knee ligament injury in the 0-1 defeat to Palace on Saturday. Mo Diame looks set to return to the squad after missing out last weekend, but Sean Longstaff will miss out again; although he does appear to be recovering well. Harry Maguire looks set to return for the home side after missing their 4-1 win at Huddersfield last weekend. Marc Albrighton looks likely to miss out once again but centre-back Jonny Evans is back from a hip injury. They are solid at the back and dynamic in attack, having goalscorers, creators and pace out wide, so I think we’re going to be in for a tough night. That said, it still must be seen as a winnable game and one we could easily get a draw from if we turn up, but we’re going to have to be much better than we’ve been on the road in our last few games to get a result. West Ham are the ONLY team outside the top 6 to have beaten us on the road this season, however I’m not overly confident heading into this one. With safety not yet secured, let’s hope the lads turn up and prove me wrong! The predicted 11 didn’t load. My guess is last week’s starting 11 with Dummett in for Lejeune. With Leicester’s pace I doubt we will see Shelvey start and I think we will try to block them with a back 5 and play on the counter. Hopefully we will not just resort to hoofing it up to Rondon. Before the end of the season I would like to see Shelvey, Muto and Almiron in the same team. I would like to see what Jonjo does with some pace up front. Before Almiron we really only had Gayle as Rafa didn’t seem to trust Muto. I am leaning much more to thinking that Rafa is leaving. I would have been 100% if the Leicester job had still been open. But then there is Sevilla. Their coach has leukemia but vowed to carry on. I think he would be better off taking some time off and I think Rafa would be a perfect fit. Seville is a great city. His kids are grown. He can afford to keep 2 houses and I am sure his wife wouldn’t mind a few winters in Spain. Now I am a bit depressed and don’t think tomorrow will cheer me up much. I hope I am wrong but Leicester simply have better players than us. Pretty sure Rebekah Vardy will want her hubby to put a couple past us after her online arguments with some Toon fans. A draw would be great but i fear another loss tonight. The cohesive attacking displays we were starting to get back when Longstaff was playing and miggy had just arrived seem to have dissipated somewhat. I actually think we looked ok last week, just didn’t take our chances and fell prey to a Zaha pen which was pretty inevitable the longer it went on. Losing Florian is massive, he’s an excellent player. No Yedlin tonight please Rafa, think Manquillo will do a better job, not as fast but a far better defensive fit and actually has good delivery too which Yedlin often hasn’t. Can’t see us getting anything tonight. georgio: the odds seem very much against us. All of the pundits have us losing, we have only won 2 away games all season and Leicester are in great form since Brendan arrived. Last week Ed’s poll had 70% going for a win and this week it is 57% for a loss. I too am pessimistic about this game. I think this is one of the times when everybody will be right but I would love it if we went full-on NUFC and defied all of the omens. And no bl00dy Rondon free kicks from places where you have a 1% chance of scoring from. How many free kicks have you seen go in from 35 yards. Hardly ever, only when they are cross-shots from out wide and the goalie misjudges it or is blocked off. That’s what frustrated me about Rondon last week, not that he missed a couple of OK chances but that he made bad decisions. Looking for better from him tonight as he is not a bad player and as Rafa said we probably should have beaten Palace. Will see the lineup soon but I don’t think Ki had a bad game last week. Some nice one-touch passes. I am worried about going too defensive in centre mid-field and essentially playing 5 central defenders and inviting pressure. Maddison is one of the few players in the league who is actually good at direct free kicks so no stupid fouls if we do go full out defensive. I know I am a bit obsessive about direct free kicks but it is because the stats show that they hardly ever go in. I think Ronaldo went 60 before scoring that one at the world cup. I am not against taking them, just not from 35 yards and try to mix it up a bit. The other team have 5 men in a wall FFS so there must be some space. Just not the 2 yard pass to the side, that has never worked in the history of football because the other team have a blocker specifically for that. I think I know why teams continue to play the little lay off – because it works sometimes in training. What they forget is that the blocker in training is not going all out as they would in a game. They know they will get hit with the ball or a foot and just don’t get fully committed. That’s my theory anyway, otherwise why even bother when it never works. Eric, thought Ki was good too. Manquillo the only surprise in the team that really wasn’t that much of a surprise. Should have guessed it as Rafa had talked about how they had worked on not giving a penalty to Zaha in training and then Yedlin gave a stupid penalty, although I disagree with pundits saying Zaha was going nowhere. He has that move where he cuts back in and shoots or crosses and is so tricky that he is a threat anywhere in the box. So a bit unlucky for DeAndre. That’s the second one Perez has scored like that this season. Pity that free kick didn’t go in as I had been yapping on about them. It was central and on the boundary of where I think it is worth it so it was worth a go. Schmeichel isn’t he most agile either. 1st time I have ever heard Carragher as co-commentator. Does he ever shut the fck up? Yeah good effort from Rondon Eric, so close. Unless against the top 6 when the pundits and Ed’s poll align you can bet that that result will not happen. Wasn’t Eddie Howe touted for Arsenal and even Man U? Get in, great result lads, better than i’d hoped for and good performance too. Hope Ashley allows a decent transfer budget this Summer so we can have a couple of quality signings and spare us the angst of going through another season of battling to avoid relegation. He nearly scored a stunner from 30-yards out tonight! I presume you were very impressed by him this time mate?